All the Amish Bars quilt tops were finished in the early part of day two. 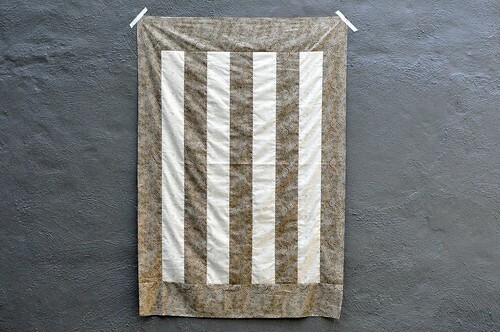 How wonderful to make such a simple quilt top. We spent the rest of the class working together to layer and baste each of the seven quilts. The great thing about group basting is that with all that practice, you get really good at the process. With all our quilts ready to go, we attached walking feet to the sewing machines and started to machine quilt. 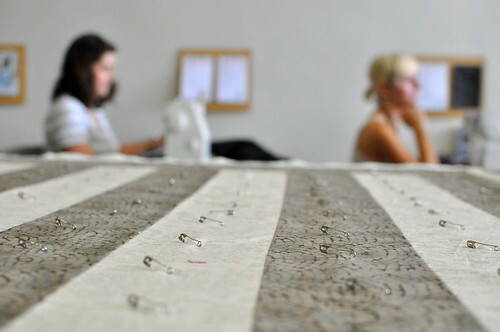 Many of us got some preliminary ‘stitch in the ditch’ quilting done. 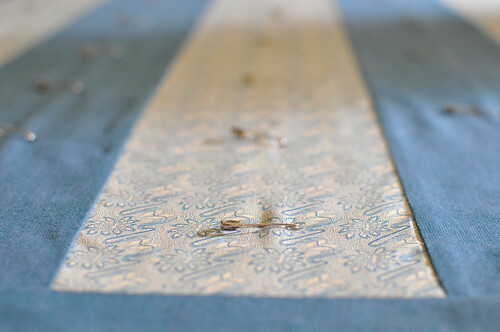 Today we’ll look at doing some additional quilting and cut out our binding fabric. I think this quilt will actually be finished tomorrow! 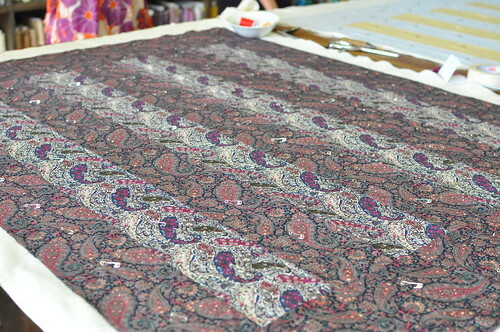 ALSO – the new Liberty of London fabric arrived!